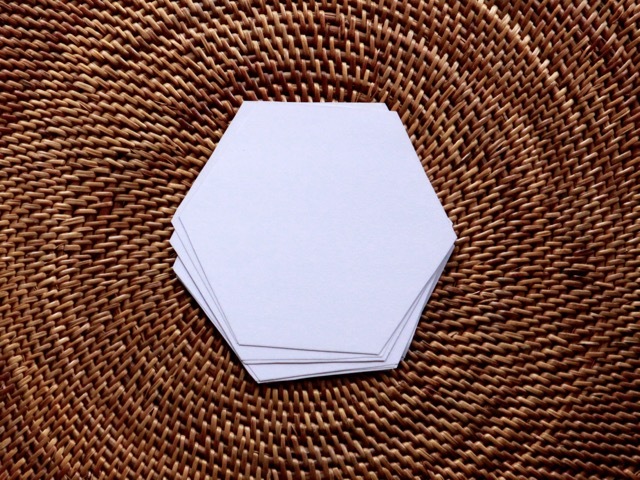 Cut Hexagon papers at the size of your choice. You can find them easily downloadable on the net. Or you can buy them ready in quilting shops. 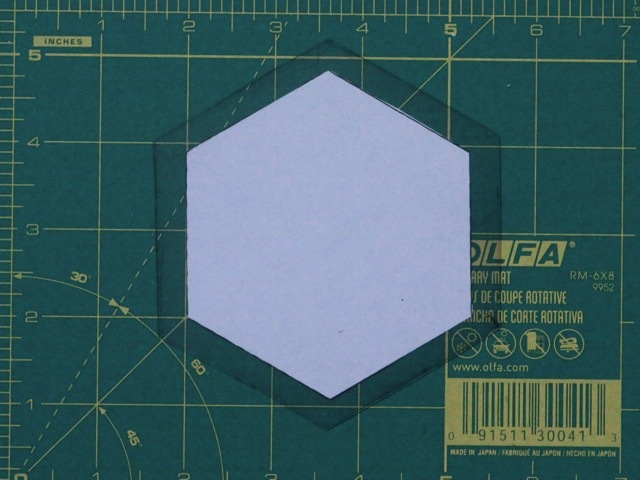 Put one hexagon paper on a plastic or cardboard and cut it 1/2" larger. 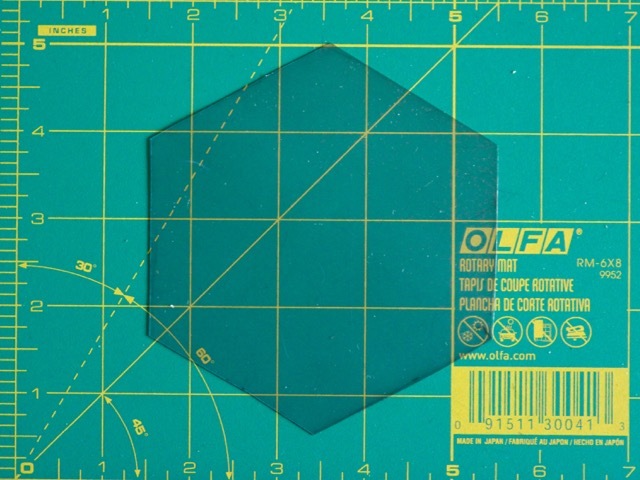 If you use transparent plastic, you can center a subject on your fabric. 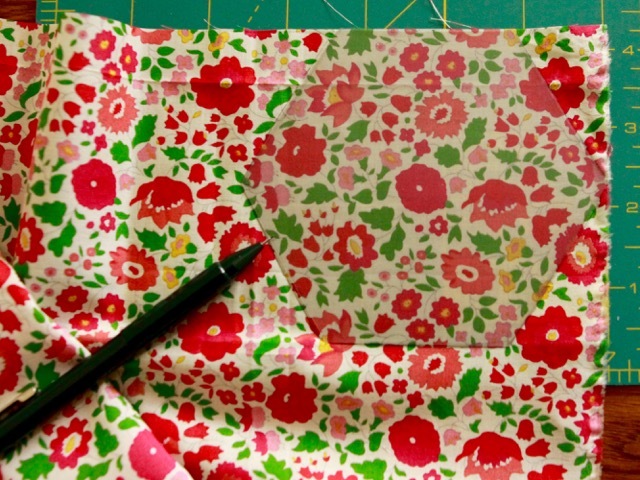 Put your plastic template on your fabric on any side, it does not matter. Draw a thin line all around. 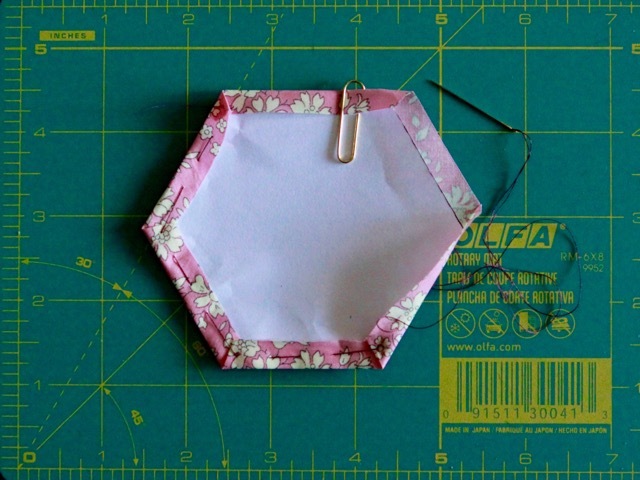 Take one of your paper templates and place it on the WRONG side of your fabric hexagon. 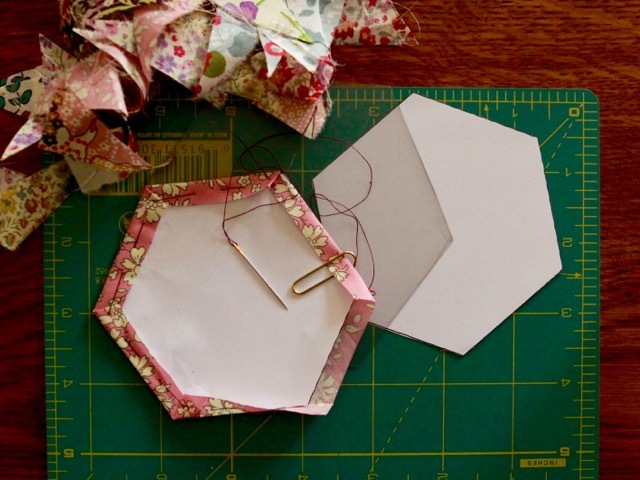 Fold one side and attach it with a paper clip. Sew with big stitches all around. Very nice tutorial. 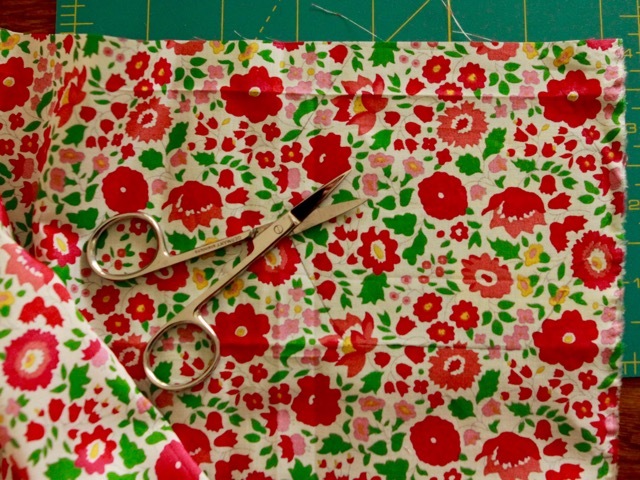 It has been years since attempting EPP for me, but I keep reading all of these tutorials and blog posts from the internet, getting up the courage to try it once again. Thank you for sharing your tutorial and helping to inspire me to give it another try. Have a wonderful creative day! 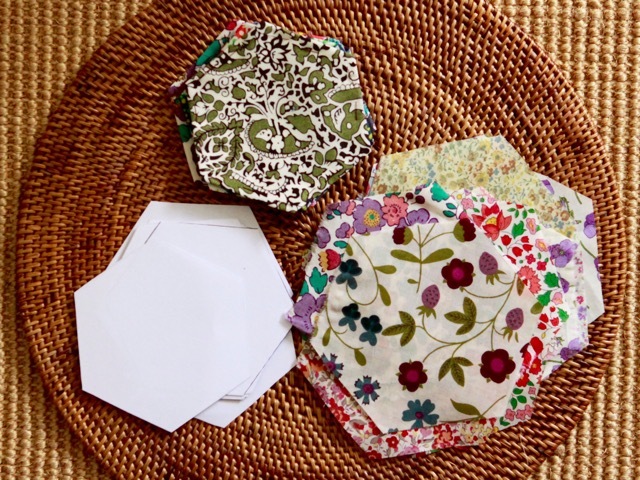 Lovely hexies! Small binding clips work as well as the paper clip too. I love basting them but I find my hands start to hurt when I sew them together. I am determined to finish my project by just limiting myself to how many I stitch at a time! 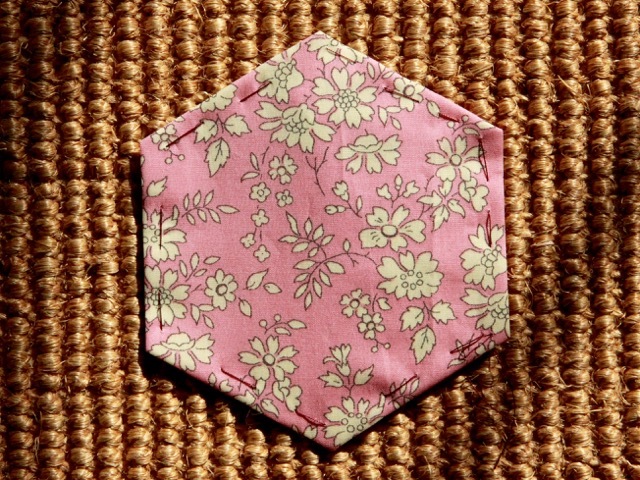 I may try hand piecing them as hand piecing doesn't seem to bother my hands. Thank you for the lesson. You make that look so peaceful and easy to do, LOL. 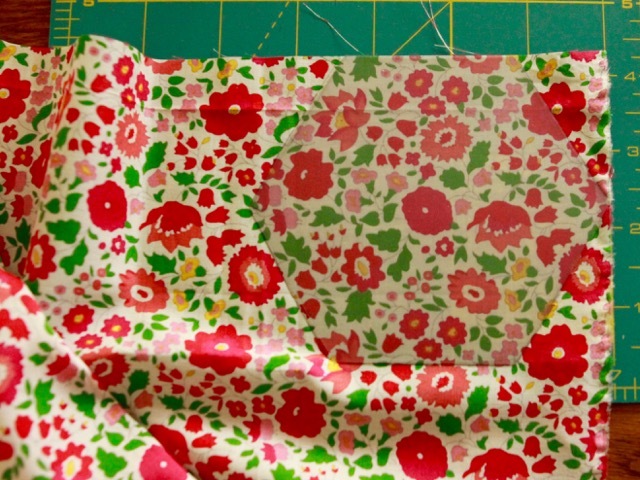 And as always you chose a lovely fabric! 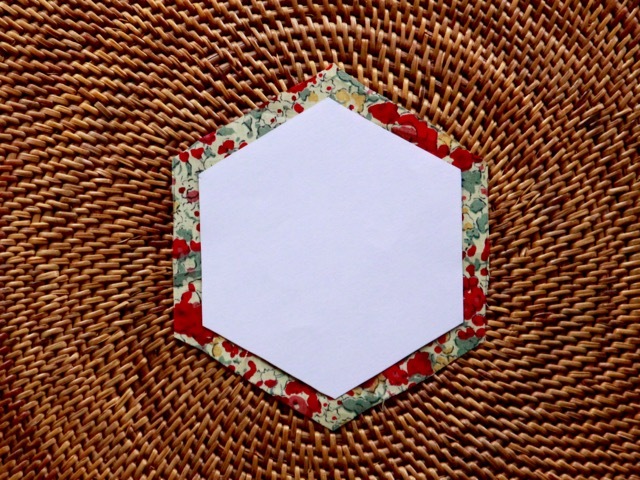 Wonderful tutorial Christine and using the clear template is a great idea!